Mrs. Mary Louise Vass Shanklin age 89 of Elkton, KY, peacefully entered into eternal life on Tuesday, January 22, at 7:20pm. Mary was a loving wife, mother, grandmother, and great-grandmother, devout Christian, & a dedicated volunteer. She was a member of Elkton Baptist Church where she centered much of her volunteer work and community service for over 60 years. Services will be Saturday January 26, 2019 11:00 a.m. at Latham Funeral Home in Elkton,KY with Rev. Mark Keith officiating. Burial will follow in the Foster-Chesnut Cemetery located on Old Trenton Road. 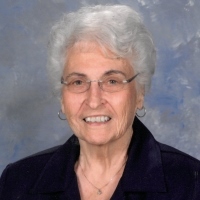 Visitation will be from 5:00 to 8:00 p.m. Friday January 25, 2019 at Latham Funeral Home in Elkton, KY.
Mrs. Mary was born May 29, 1929 in Christian County, KY. She was a homemaker, a 1947 Graduate of Elkton High School, Mrs. Mary also was a volunteer for the Red Cross Blood Drive, member of the Town and Country Club and a Kentucky Colonel. She is preceded in death by her husband Nelson Gene “Red” Shanklin in 2009 and her parents Claude Monroe Vass Sr. and Rosellen Foard Vass. She is survived by her daughters Faye and her husband Sonny Caughlin, and Sharon Jean Shanklin both of Elkton, KY, her grandchildren Rhonda Caughlin Werner, Susan Caughlin Hurt and Matthew Bailey, her great grandchildren Mallory and Levi Werner.